Victoria Falls Bungee Jump. 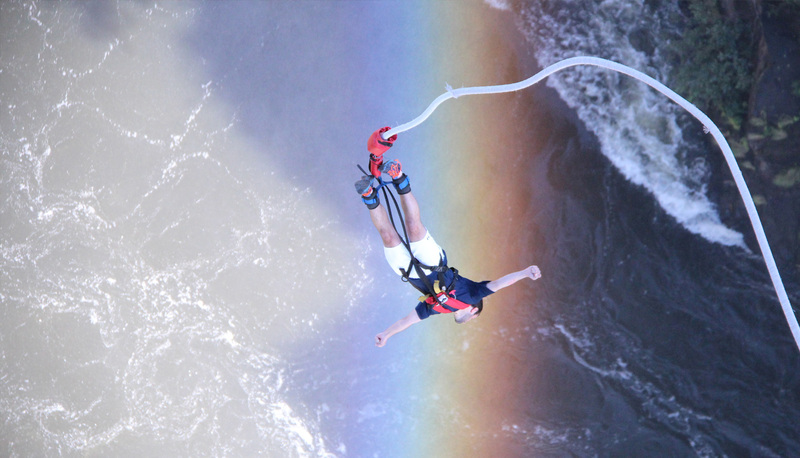 Jump into the rainbow at the Worlds greatest bungee. Select your favorite jump below. 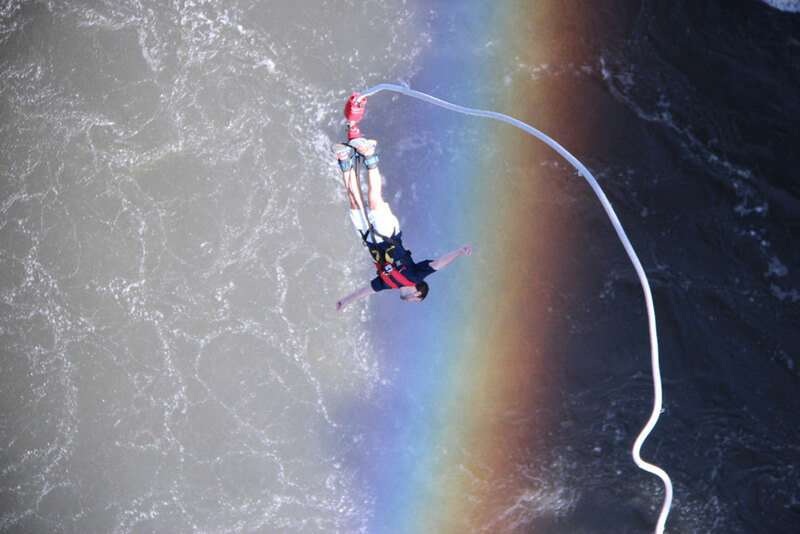 The Victoria Falls Bungee Jump is undoubtedly the most scenic bungee jump in the World. With the Victoria Falls themselves as the backdrop, and the mighty Zambezi River flowing beneath you, this is sure to be the greatest bungee jump in the World. Your Victoria Falls Bungee Jump will undoubtedly be more than a passing thought the night before you take the leap. But, even though your mind will be buzzing with adrenaline, don't forget to take your passport on the day! You'll need it to get onto the Victoria Falls Bungee bridge which marks the border between Zimbabwe and Zambia. The Victoria Falls Bungee Jump Bridge in itself is impressive and offers the most spectacular views as you get ready for your Victoria Falls Bungee Jump. The roaring of the mighty Zambezi River beneath you will definitely draw your attention as it floods into the Batoka Gorge below. Once on the bridge, an ankle and body harnesses will be attached. Then the jumpmaster will give you calm and encouraging instructions followed by a countdown: "5 - 4 - 3 - 2- 1 - B-U-N-G-E-E!!!!!!" You will then experience 4 seconds of mind blowing freefall. Before you know it, a recovery operator will have you hooked up and winched back to the catwalk below the bridge.